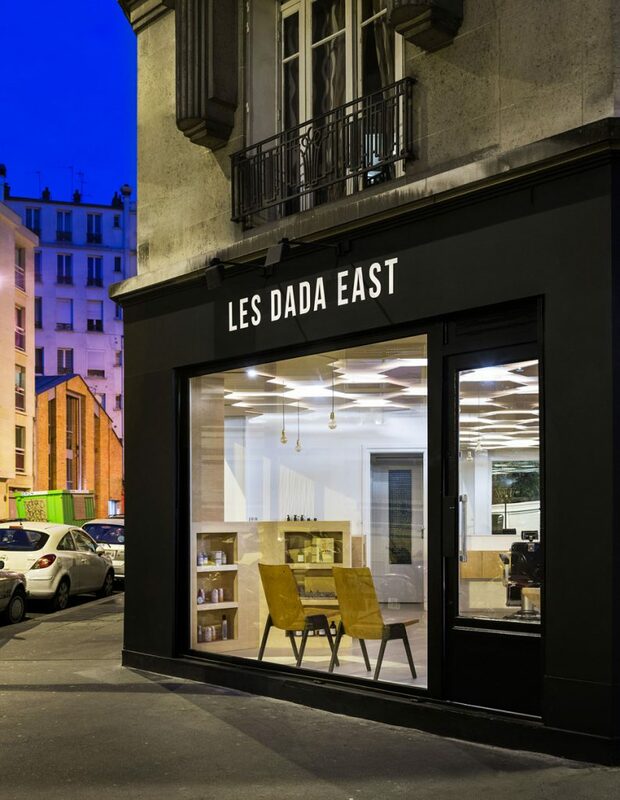 I came across the gorgeous salon interior of Les Dada East Salon while perusing through Dezeen. 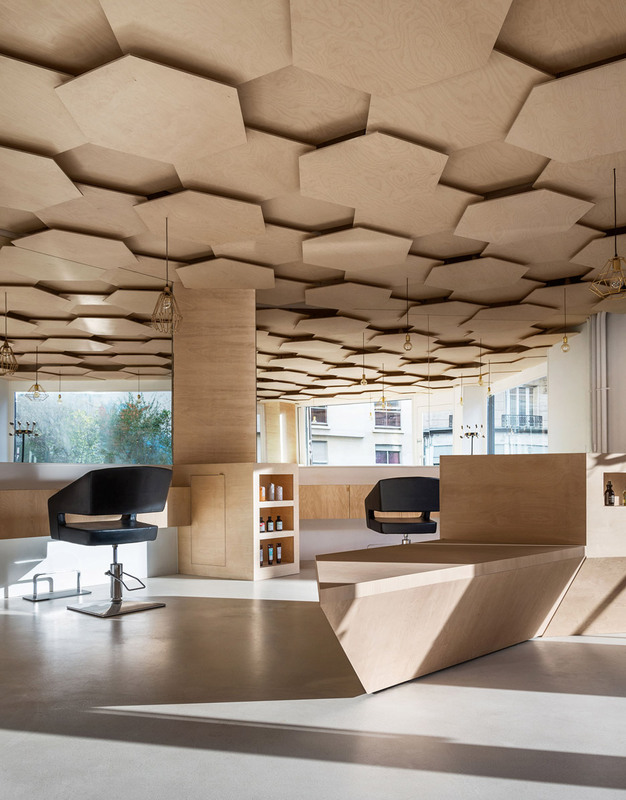 Located near Bastille in Paris, the salon was designed by architect Joshua Florquin. 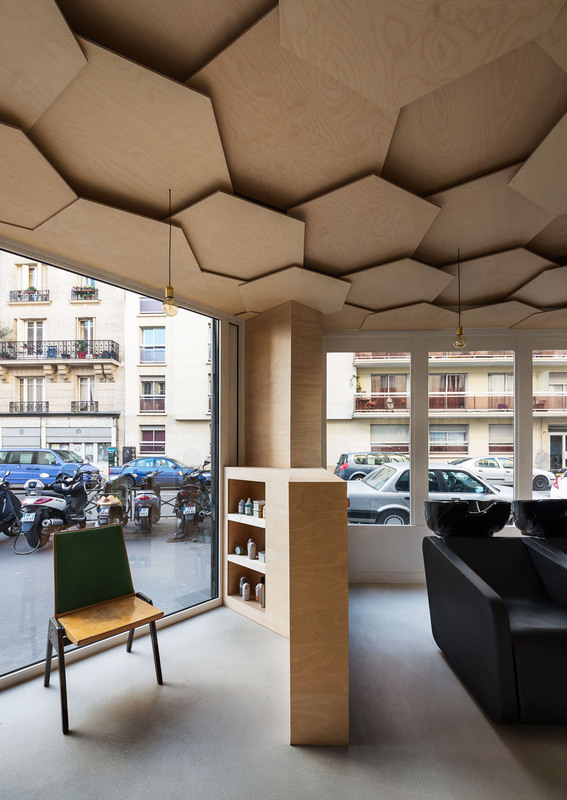 Using sheets of hexagon birch plywood panels, the architects wanted to create a natural feeling environment within the city. 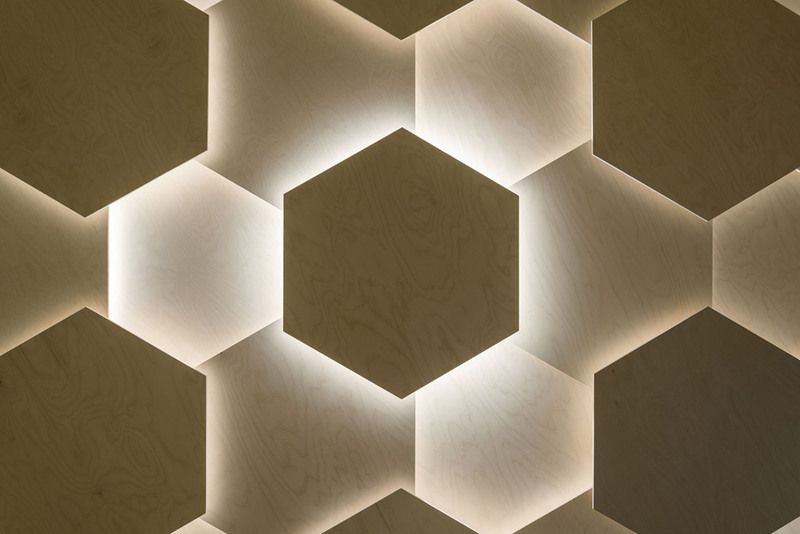 The panels are backlit so the ceiling has a beautiful glow when lit. 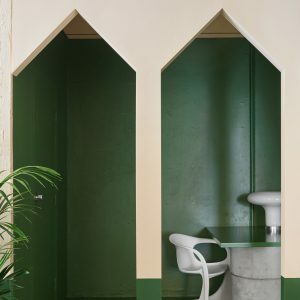 Looks like a lovely relaxing place in the city to get beautified!